These creative pedals take classic effects genres and pack them with extra control and flexibility. Based on New Zealand’s North Island, Red Witch was founded by Ben Fulton with a mission statement of creating unique analogue effects that inspire creativity. 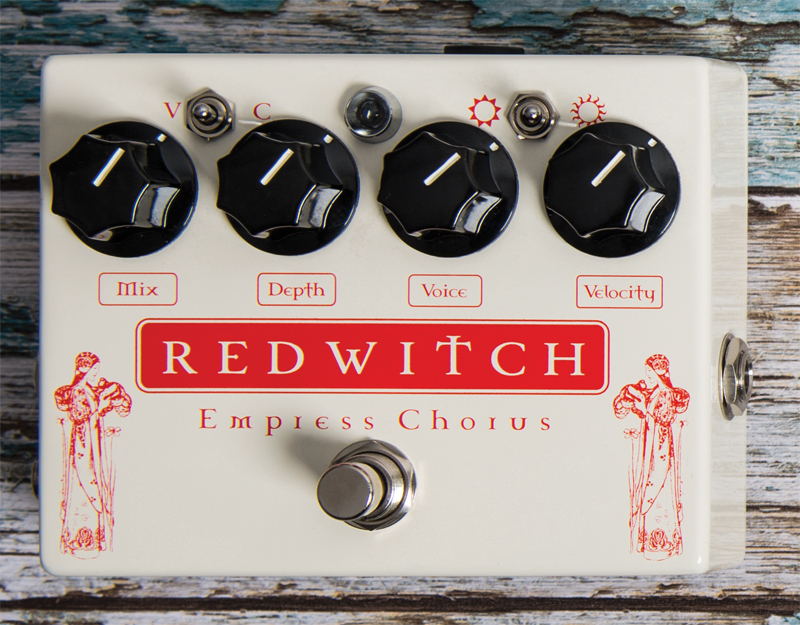 Red Witch’s pedals cover familiar effects such as delay, overdrive and modulation, souping them up with additional controls and inventive twists. 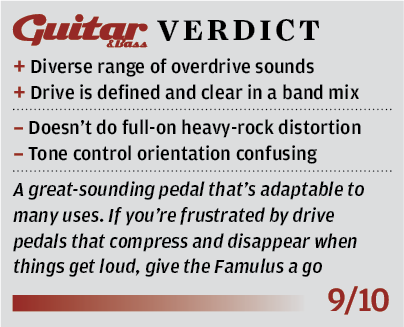 On test here, we have four pedals from the company’s Premium range. All have robust enclosures and lifetime electronics warranties. 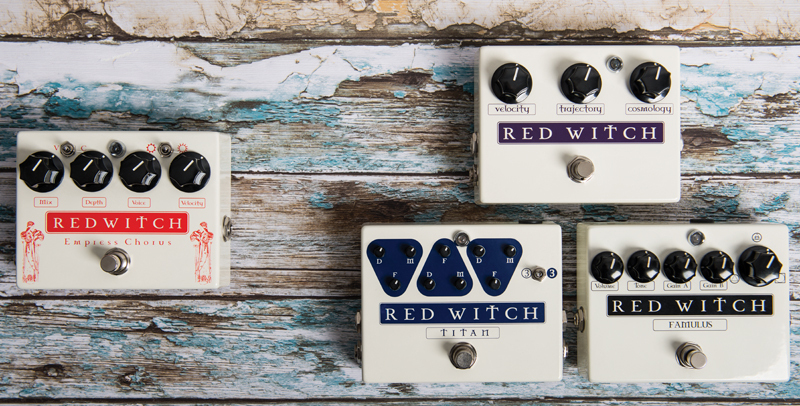 The Famulus packs a versatile twin-overdrive circuit; the Titan goes one better, with three delays; the Empress is a super-sized chorus and vibrato machine and the Moon is a leftfield reimagining of the classic phaser. 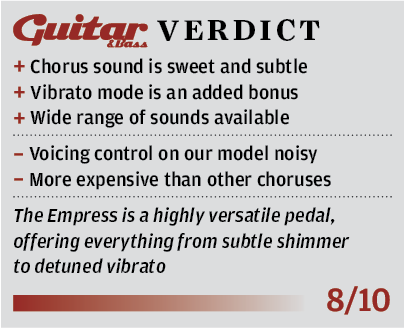 The Empress is a combined chorus and vibrato stompbox used by none other than Andy Summers. In chorus mode, the voice and velocity knobs act like dual speed controls, with voice setting the delay time and velocity the speed of the sweep. The full range of voicing takes you from subtle sparkle to a dizzying noise. 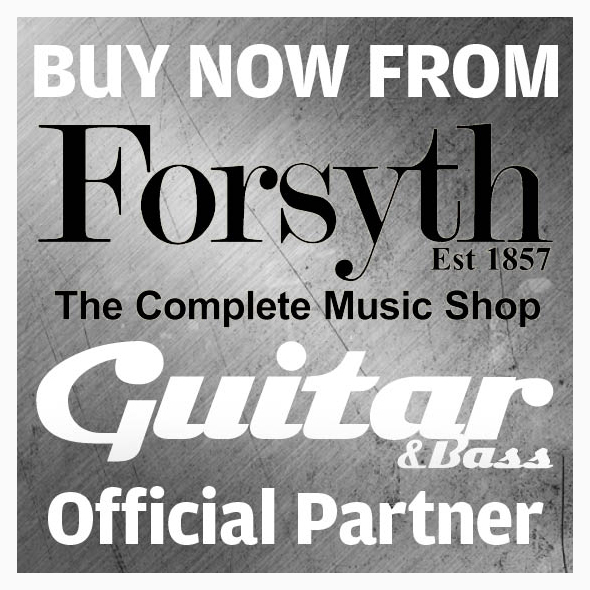 With these two variables, plus depth and mix, and the option to switch to vibrato, there are myriad sounds on offer. With the voicing between 7 o’clock and 11 o’clock, the brightness switch comes into play, too, adding a little extra sugar. We preferred the sounds in the first half of the voice control’s range – a sweet chiming chorus effect, rather than the vertiginous wobble past 12 o’clock. The vibrato mode, when used subtly, offers a lovely analogue throb. The Empress’ instructions warn you to expect some hiss in the voicing control’s most extreme settings. However, we found the control to be generally quite noisy. 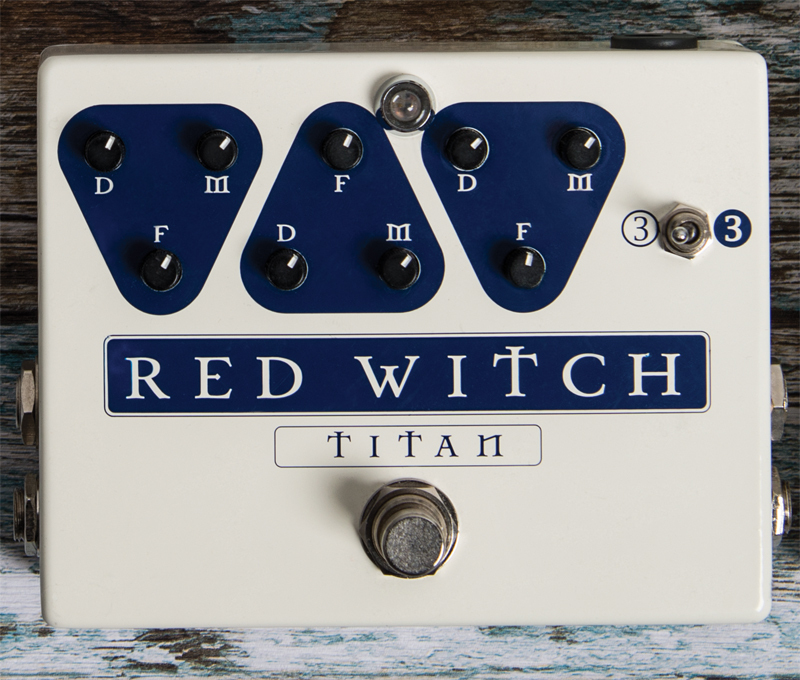 A trio of independent delay circuits, offering up to 800 millisecond repeats, each with delay time, mix and feedback controls, make the Titan a seriously interesting proposition. A toggle switch allows you to run the three delays either parallel or in series. The Titan will appeal immediately to fans of post-rock and ambient soundscaping. The mix and feedback controls take you from syncopated rhythmic repeats to huge rolling feedback textures. 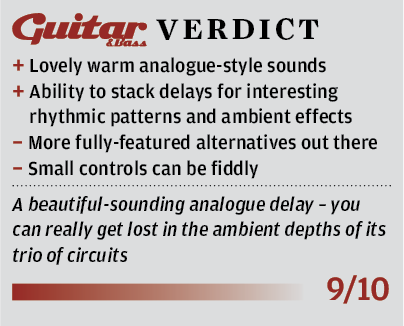 Setting different times on the first two delays with the mix and feedback used sparingly, and cranking up those controls on the final delay produces lovely warm repeats for arpeggios and fingerpicking, with the third delay underpinning your playing with a vast wash. The feedback requires careful use, or things slide into boundless self-oscillation ± unless that’s what you’re after of course. Our only concern is the price, pitching the Titan against the likes of Strymon’s DIG and the more versatile old faithful Line 6 DL-4. Again, flexibility is the name of the game here. The Moon isn’t strictly a phaser in the traditional sense of the word. 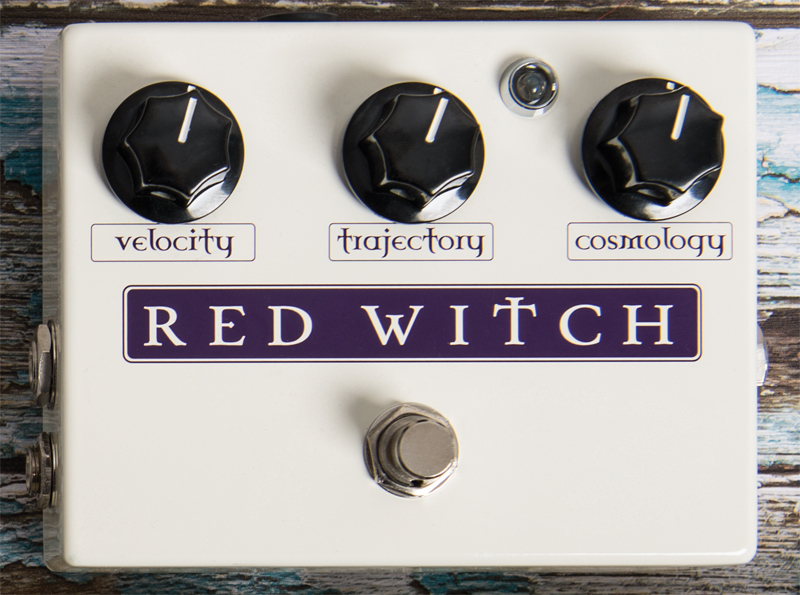 Red Witch describes it as phase and tremolo, offering a unique combination of the two called `tremophase’, with a warm analogue tone that it terms `spatial sparkle’. We get three control knobs: velocity alters the phase speed and, for us, it’s wired counter-intuitively – turning clockwise decreases the rate. Trajectory controls the part of the frequency the phase will affect – clockwise for shimmering treble and anti-clockwise for the low end. The cosmology rotary switch has six settings – three phasers, two tremophases and a tremolo. On our unit, the switch gave an audible pop when operating. 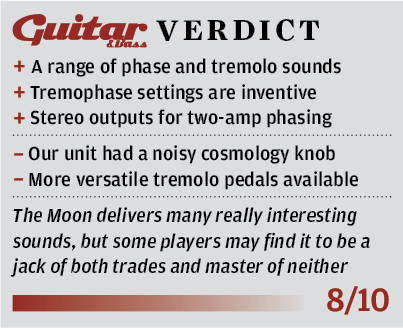 The three phase settings are warm and understated – the Moon won’t deliver John Squire’s jet plane swoosh from Made Of Stone – but the tremophases are really interesting, emulating a Uni-Vibe with the trajectory wound back and delivering a subtle Pink Floyd-style pulse. Two parallel overdrive/distortion circuits are the Famulus’ USP. The alchemy knob enables you to dial in how much of each circuit you want, opening up an impressive range of tones, from clean boost to cranked harmonically-rich overdrive. The twin gain circuits work brilliantly, ensuring you cut through a mix, where other drive pedals squash and go missing. 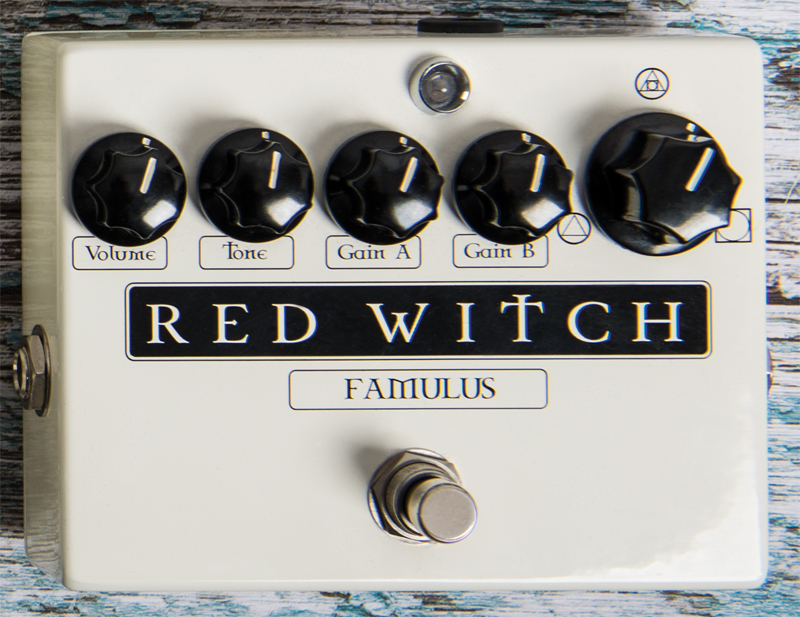 Red Witch says gain B offers more fat midrange than gain A, although we couldn’t hear a huge difference between the two, with perhaps a little more low-end punch in gain A and slightly more gritty treble in gain B. The Famulus gets really useful when you set the Alchemy to 12 o’clock, with one gain low and the other cranked up. Giving equal emphasis to each circuit, it results in a rich overdriven bark, but with your playing dynamics clear and defined. 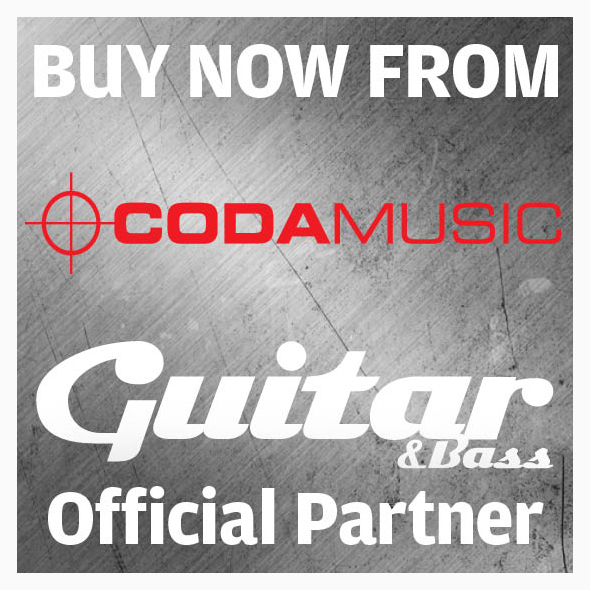 It’s ideal for classic rock and indie sounds, or stacked with a fuzz or higher-gain distortion. The tone control is wired `backwards’ – as you turn clockwise, things get darker.